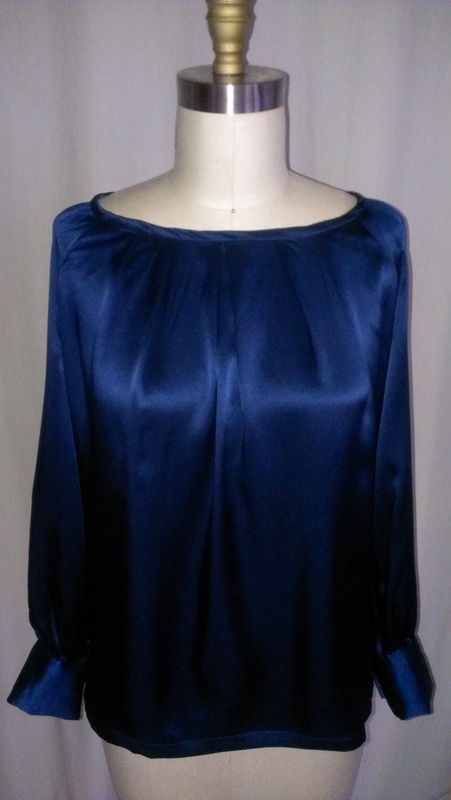 I just finished this lovely silk charmeuse top made in a gorgeous shade of blue. I picked this color blue to wear with the new sapphire ring my husband bought for me while on vacation in Mexico. 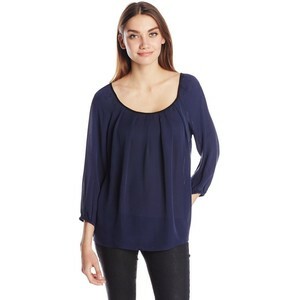 I used Simplicity 1315 pattern view A to make this top, using French seams to finish the side, sleeve and raglan sleeve seams. 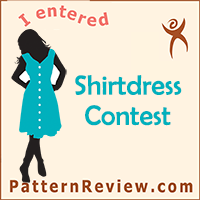 The pattern features a pleated neckline, raglan sleeves and barrel cuffs. 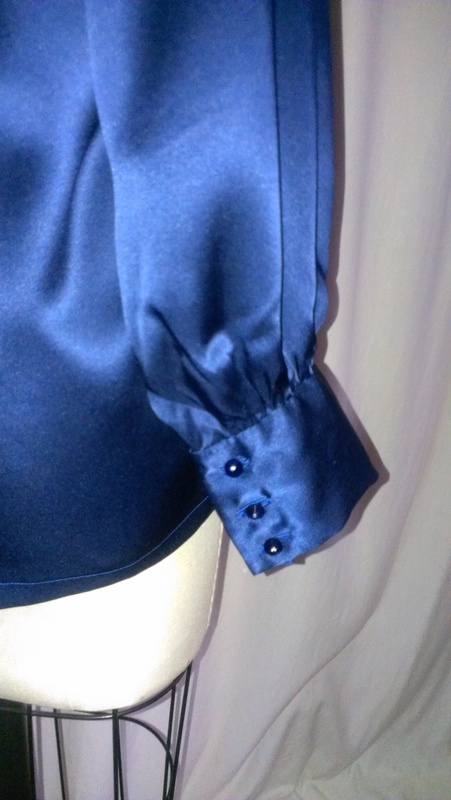 There are also options to embellish the cuff or sleeve, but I chose not to embellish this time. I would, however, love to make this top again and possibly do some beadwork on the cuffs of the top. How pretty would that be! 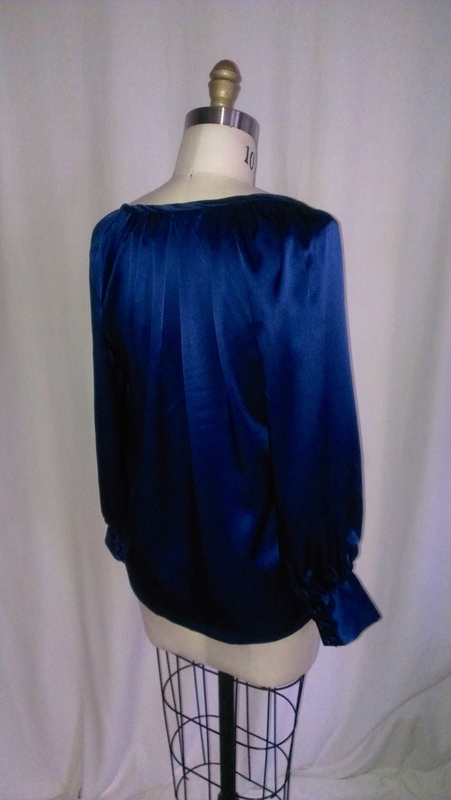 I managed to find some lovely little blue buttons made in Italy with tiny rhinestone insets to use for this blouse at Fabric Depot in Portland, OR. So, the little special buttons give a nice touch to the finishings of this top. The top was not too difficult to sew. The hardest part was hand sewing the neck band all the way around the neck edge. Well, that was not actually difficult, it was just time consuming. The slippery fabric was a challenge to manage and sew at times, but I have dealt with slippery silk before and knew how to handle it. 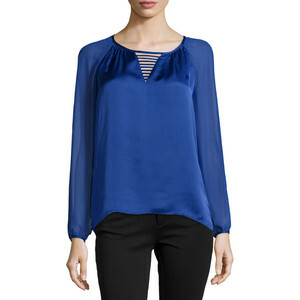 Overall, I love my new blouse and love to wear it with my shiny new beautiful ring! 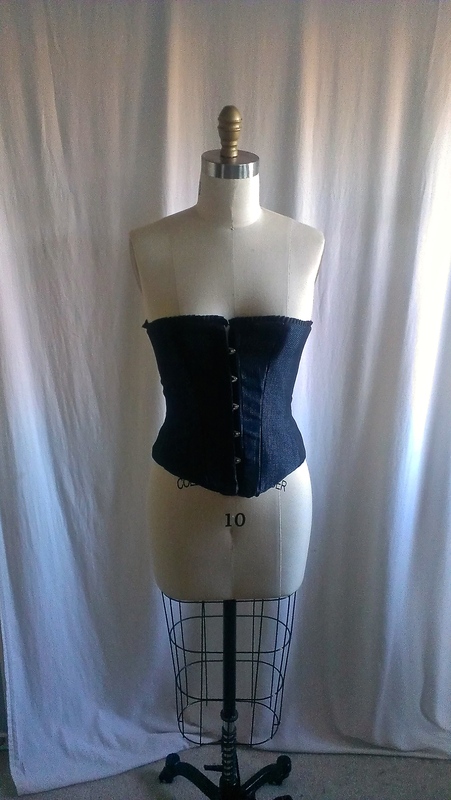 I finally completed making my very first corset, and I know this will not be my last! 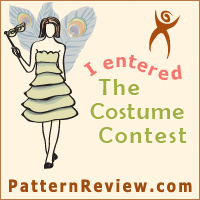 Laughing Moon Mercantile pattern #100 corset made in polyester jacquard with velvet and ruffle trim. I loved every moment of making this corset, even though it was a long and sometimes downright difficult project, it was just exciting! 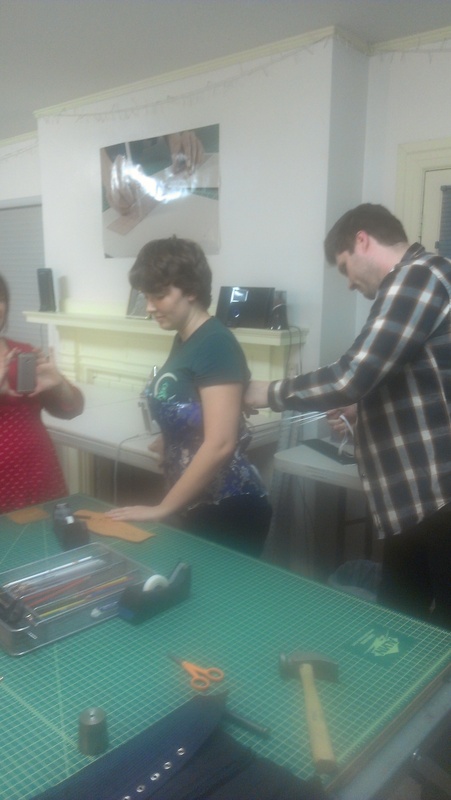 I made this corset as a part of the Corset Making Class at Portland Sewing School in Portland, Oregon with instructor Jason Bray. Jason works in the costume department at Portland Opera and knows how to make a corset, or any other theatrical costume, by heart. He is amazing, and so fun to learn from! 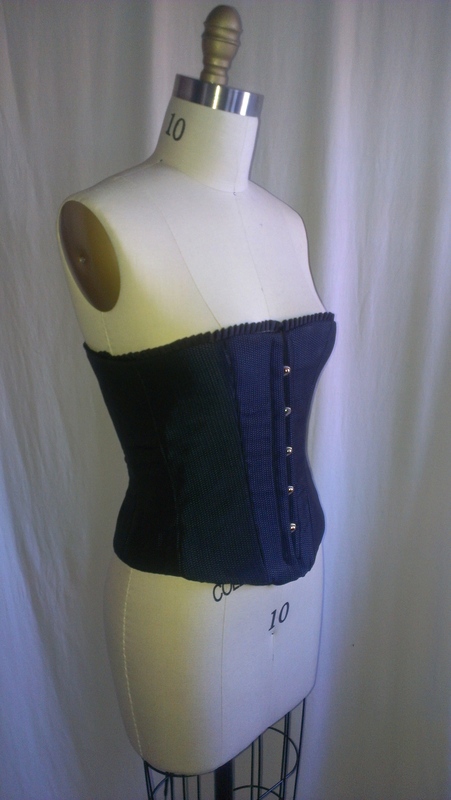 For this class, we used Laughing Mercantile #100 Dore and Silverado Corset pattern kit. 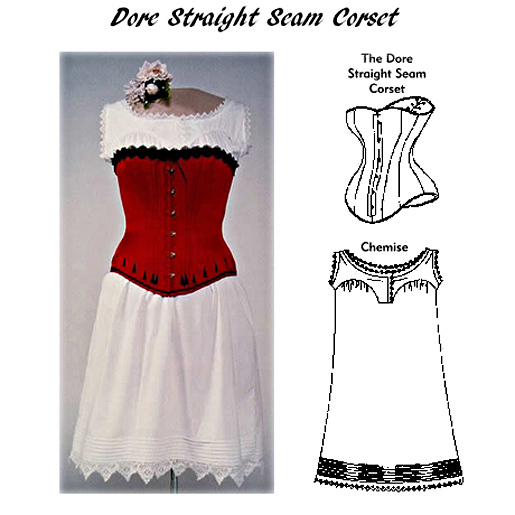 The kits, which were ordered in one size as needed, came with the corset, chemise and drawers patterns and sewing instructions, coutil for the inner corset construction, the busk, steel grommets, steel spiral boning, boning casing, twill tape for a waist stay 5 yards of lacing, and even an awl for setting the grommets. Everything I needed was included in the kit I ordered to make the corset besides the fashion fabric, lining and any trim I wanted to make my corset out of. I made View A, the Dore. We made up a muslin of the pattern according to the size that we each ordered. From there, we partnered up and fitted each other’s muslin in class, taking careful consideration to fit and making markings on the muslin as needed. After the muslin was a good fit, we transferred our newly custom fit pattern on to oak tag. This is really great because I now have a custom fit corset pattern ready to go and sew up in whatever other material I want and really to be used as a base of other designs! Love it! 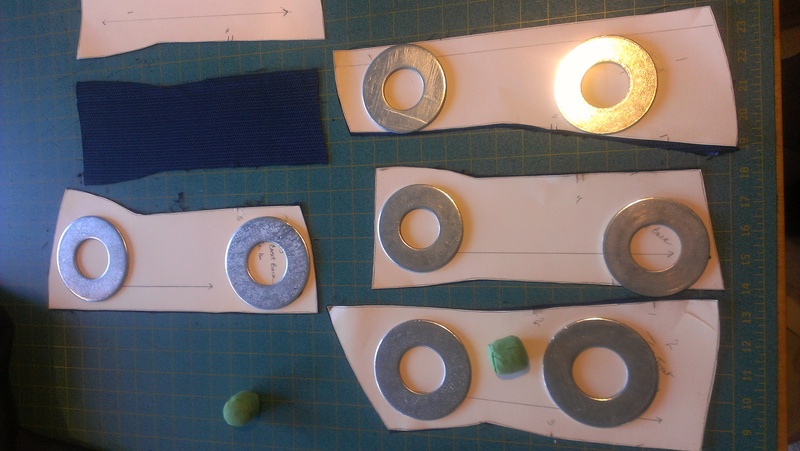 After the pattern was ready, we cut out the coutil material, as well as the fashion fabric, from our 5 pattern pieces. 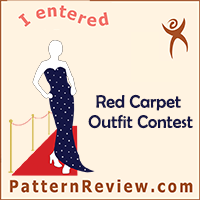 I chose a blue and black polyester jacquard material for the corset and Ambiance bemberg rayon lining. I cut my lining later in the process. I serged the raw edges of my coutil, fashion fabric and lining pieces before sewing as both tended to fray easily. This step of serging the raw edges was quite helpful and made for a better interior of the corset. We carefully planned the placement of each boning (I think I used about 14 bones in all!) and then sewed the narrow boning casing to the coutil, leaving the top edge of the casing open to later insert the boning. Four of the steel bonings were used at the both sides of the grommets to support the openings here. We then sewed a baby flannel backing to the interior of the coutil pieces to give some comfort between the boning casings and the inside of the tight fitting garment. This makes the corset look a bit more padded than I thought it would, and would not work for all fabrics I may want to make a corset out of, but it worked for this one. Then it was time to insert the busk in the front. This step took some time as we had to carefully mark the placement and openings for the eye parts of the busk to stick out, then perfect placement of the coordinating nob part of the busk that fits into the eye parts as a front closure to the corset. After the front was finished, we moved on to setting the grommets. This also was a very precise process, and sometimes downright difficult part of the constructions.Those grommets were hard to set! 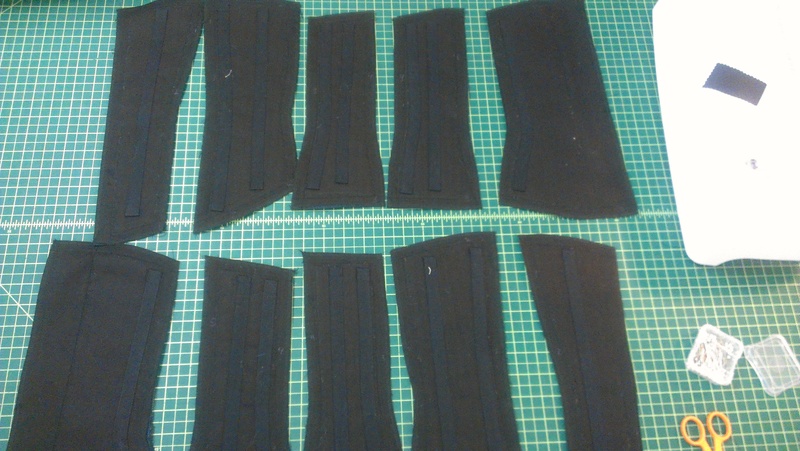 I hand-sewed the velvet cording and the grosgrain ruffled trims to the bottom and top edges of the corset before hand sewing the lining to the corset. This hand-sewing took a long time, but was necessary for control of the desired outcome of trim and fabric, and would never have worked sewing with the sewing machine. I have actually come to enjoy the process of hand sewing in most cases and can get though it relatively quickly. Close-up photos of these details will be added later. I really enjoyed making this corset! I aspire to make more corsets such as lace, velvet, brocade, embellished and embroidered fabrics, and even incorporate them into dress construction or making really good quality costumes if the occasion arises. Corsets are beautiful! I, of course, have inspiration photos of gorgeous corsets to share! 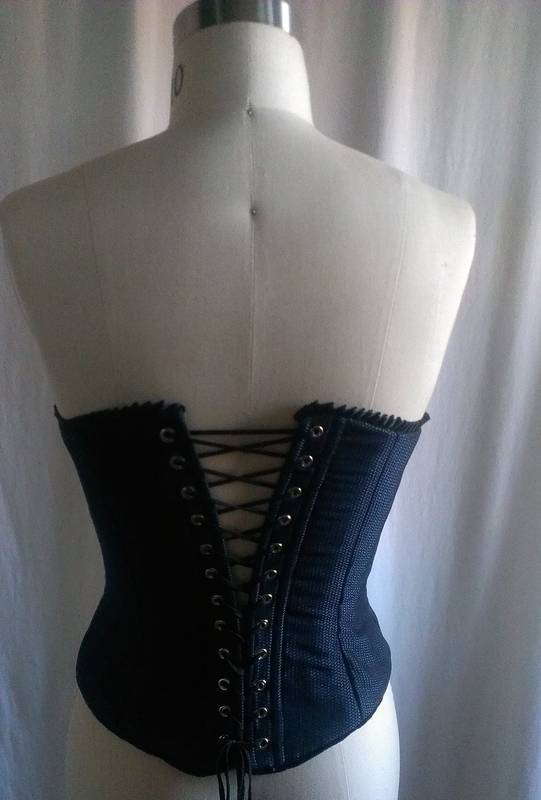 So, if you know anyone who wants or needs a custom corset, call me!